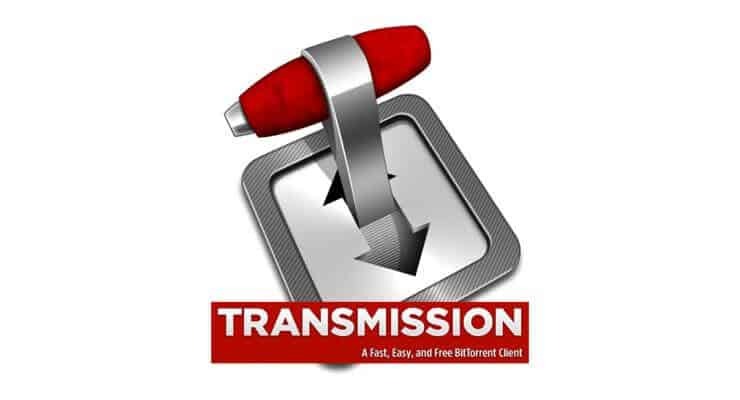 Transmission bittorrent is probably the most common bittorent client for Linux platforms. Transmission web interface is like a thin client yet feature-rich and aesthetically pleasing. Bittorrent client for Windows and Linux are both available. I have previously written articles on how to install Deluge with webui on Lucid Lynx server and Precise Pangolin server. I initially started with Deluge but Transmission quickly became my favorite due to its simplicity, ease of install, and yet feature-full webui. 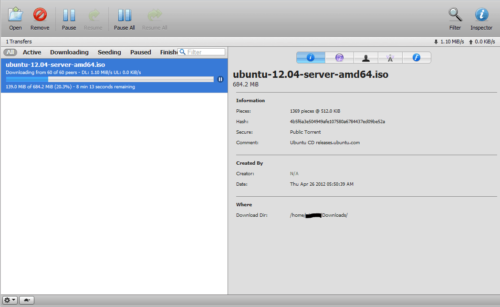 In this post, I provide instructions on how to setup server running Ubuntu 12.04 with Transmission (with or without gui interface and with web interface). This method works on previous versions of Ubuntu as well (>10.04). While this post explains how to run Transmission web interface on a headless server, if you are running a desktop environment, installing a Gtk or Qt interface is just one step away. Transmission is a completely free open-source application. Easy: Transmission is designed for easy, powerful use. We've set the defaults to “Just Work” and it only takes a few clicks to configure advanced features like watch directories, bad peer blocklists, and the web interface. When Ubuntu chose Transmission as its default BitTorrent client, one of the most-cited reasons was its easy learning curve. Lean: In separate benchmarks, Linux Format and Lacrocivious both found Transmission to use less CPU than any other GUI client. It even used less CPU than some non-GUI clients. Transmission also has the lowest memory footprint of any major BitTorrent client. Native: Unlike many cross-platform applications, Transmission integrates seamlessly with your operating system. The Mac OS X interface is written in Objective-C and uses Growl notifications and dock badging to keep you informed. The GTK+ interface has been carefully written to follow the GNOME Human Interface Guidelines. If your desktop supports popup notifications, desktop sounds, and a system tray, the GTK+ interface will make use of them. Powerful: Transmission has the features you want from a BitTorrent client: encryption, a web interface, peer exchange, magnet links, DHT, µTP, UPnP and NAT-PMP port forwarding, webseed support, watch directories, tracker editing, global and per-torrent speed limits, and more. In addition, it has a wealth of addons and other relevant applications. Transmission is readily available in Ubuntu repository. However, Ubuntu repository is usually a bit slow on updating versions. So if you are like me and would like to have the latest version as soon as possible, then add the PPA repository as described below. If not proceed to step 2. It is recommended that Transmission runs under it's own username for security reasons. This creates a few issues with file and folder access by Transmission as well as your account (let us assume it is user). You will have to create a new set of folders for Transmission to read/write/execute (example: transmission folder containing these subfolders: completed, incomplete, and torrents). The account user also needs full control over these folders and their contents. I recommend reading this post to familiarize yourself with safely changing user groups and permissions. This gives the group debian-transmission, of which both Transmission and user are members of, full access while others get only read and execute permissions. If you want to further restrict access for others you could use 774 (read only) or 770 (no access). Finally, as described later, you will also have to set the umask parameter in Transmission's settings file to “2” (default is 18) for the account user to have full access to files/folders created by Transmission. For convenience, you could create bash aliases as described in this post. For example, transstart could execute sudo service transmission-daemon start. To make the Transmission daemon accessible through the web interface, the configuration files have to be edited and Transmission daemon reloaded. The configuration file is this: /etc/transmission-daemon/settings.json. Edit the file as needed. In order to protect your settings from being accidentally re-written (example: if you accidentally restart Transmission instead of reload), I like to save the actual settings file in a safe location and creating a symbolic link to it inside /etc/transmission-daemon/. This way, even if Transmission accidentally overwrites settings.json all you have to do is re-create the symbolic link. You can now start editing /home/user/.config/transmission-daemon/settings.json without worries of losing your settings. The default rpc-username and password is “transmission”. Change it to whatever you want (any password will work). After next restart the password will be rewritten in SHA1 encrypted format for security reasons. Below is a modified example of my settings.json file. In the example settings.json shown in previous page, note that I changed all the ports to non-default ports for security reasons. For further security you may want to allow web interface access only within your local network. If so, change “rpc-whitelist” value to “127.0.0.1,192.168.*,*”. Save the settings and exit. You will now have to reload transmission-daemon to apply the new settings. Do not forget to setup port forwarding on your router to divert Transmission traffic to the right computer running Transmission daemon on your home network (if you are behind a router). If you like to be able control your deluge daemon through android phone, refer to this post. To access the web interfaces using port numbers (eg. http://myserver.com:9091) is cumbersome. When possible, I like to create proxies for easier access (eg. http://myserver.com/transmission). If you are interested in setting up this please refer to this post. Don't forget to enter the correct port number. The last line is optional (to redirect to a secure HTTPS connection), and automatically redirects http://myserver.com/trans to https://myserver.com/transmission/web (you have to have SSL enabled on your server). If you would like to be able to access your Transmission web interface from the internet then it might be easier to setup Dynamic DNS service. This way you can reach your server with a nice URL (example: http://mytransmission.dyndns.org) instead of the http://ipaddress:port. You can get free domain names through services like DynDns.com. For a guide to setup DDNS autoupdate client on Linux, refer to this post. That is it. Enjoy your transmission and do share your experiences in the comments section.